Books are judged by their covers, websites are judged by their landing pages. • We want to solve your need. • How can we help you? Then clearly lead them to what they are looking for. Keep your home page and all pages open and uncluttered to create a Lead Generating Machine . Many websites try to cram so many pictures and text on a page it confuses the viewer and they leave. How fast does your internet site load for you? Do every one your visitors possess broadband internet access? Your rule is 8-seconds with a 56K dial-up modem, any longer and you will be losing visitors. Specifically, avoid the temptation to create your webpage as some massive logo image or flash web presentation. Remember, convey who you are, what you sell, and how you can help the visitor with what they are looking for if you want your website to be a Lead Generating Machine. Do this in a clean, uncluttered way branded with the same colors and typeface throughout. Keep it simple, stay on target, and stay branded throughout the website. Link destinations should be targeted and links on your blog should be mostly internal. The normal landing page for a website is the home page, often times the visitor feels trapped or overwhelmed and quickly departs. A link from an email or e-news letter should bring the visitor to a blog on your site which concentrates on a target topic which relates to your product or service. The blog should have many links within them but these links should bring them to the answers within your website which then becomes a Lead Generating Machine. If you need to use a knowledge source outside of your website it should be generic not a competitors site. This seems obvious but many make the mistake of sending the competition a lead you yourself generated! We may hate pop-ups but they are still very effective! Do you dislike those infuriating pop-up windows that many internet websites use? You know the ones…in your face some won’t go away no matter what you do. Bear in mind that pop-ups do work and do increase email lists if used properly within a Lead Generating Machine. Use a cookie based conservative pop-up, do not block the site and allow the visitor to easily opt out. You may try once again when they leave the site but offer something free, more on this later! So, what is the point of pop-up windows – they should only exist for a single reason exclusively – to highlight a special offer, or even better, to spotlight the free email information newsletter. Everybody knows that it is much easier in selling to an active consumer rather than to a new one. Remember what you offer the visitor for free is getting you a potential client for FREE. This is the time to give a free trial or a free white paper or a free Webinar in exchange for the visitor signing up to your email news letter. Incentivize your visitors if you need to, but get their email address and details right away, it is all part of a Lead Generating Machine. Never believe visitors are browsers and can’t be sold right then! Many website owners just accept that there are lots of competitive websites and the visitors are not necessarily purchasers. That may have been true in 2005 but today things have changed! Web browsers are searching with a goal in mind – they are searching for a result that will solve their need or problem – and if you don’t meet their needs, then they will keep searching. What if they are not willing to purchase yet, but you are the answer they have been looking for? In that case, seize their details for the opt-in e-newsletter list is more important than ever in a Lead Generating Machine, if they leave without giving their email you have lost them; the internet is simply too big for them to come back on their own. 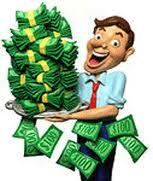 Do you believe that you have a great online business, the correct products and services, and the right price level? Then demonstrate it and scream it from your online business! Your email list is your chance to bring them back for another look, or make a better offer, possibly introduce an even better product for their needs or make a personal contact! Employ the effectiveness of FREE in your favor. Alright, I can hear you arguing, “But… But… But…” The most effective way to close a client is to engage that client! A single pay per click can cost more than $5 just to attract a visitor, and you give them nothing when they arrive! Think of your website as a booth in a huge trade show, offer a free white paper for a email sign-up, but what if you have a cool little free give away, think about it, you then get their full information, and when you mail the item, you get to include whatever sales material you wish! Yes, everyone loves free stuff, of course, we all do. SO GIVE THEM FREE STUFF as part of a Lead Generating Machine! Though – whenever you provide free things, provide it in exchange for their details, in order to get back to them, if not they remain just numbers in analytics. Guide your visitors through your website, like a good salesman in a showroom. The moment you have gained your online visitors interest and attention, you then want to virtually take their hand and direct them to every page across the website, this is an essential part of a Lead Generating Machine. This is achieved by using links and clever words and phrases to take your visitors to the answers they are looking for. Find out what your visitors want and make sure you provide those answers on your website.. Lead them bit by bit towards the contact us web page, until you have their name and email address. Once you have the Visitors Email, use it wisely, with a plan to build their interest, not to pester them. Once you have got hold of them (your new potential customers) – Don’t let go! Love them, care for them, and even if they have not opened their wallet for you – show them the same level of gold service that you normally reserve for the spending clients, if you want your Lead Generating Machine to produce customers. It is important to email and update them with new data and facts and to personalize your company, welcome the visitor to your circle of friends! Do not abuse their trust; your emails should give them information on your products and services. Never sell or misuse your email list for other products not represented on the website they signed up under! Make your website one portion of a network. First, make sure you have a Twitter, Facebook, LinkedIn, Pintrest, and YouTube accounts all branded the same as your website and all attached to your website which is your Lead Generating Machine. Additionally, you may want to make link deals with related but different product and services websites to exchange leads and traffic. Remember, the goal once the traffic gets to your site is to get at least their opt-in email address, without that email contact the visitor is just a useless number on an analytics report. It is the difference of a customer walking through a mall looking in store windows and a customer walking in a store! Get those Email addresses. Using Your Website and Social Media to create a Lead Generating Machine! This webinar is free and as always, if you register and are unable to make the live webinar we will send a recorded version to you after the event! We will explore the many aspects of lead generation. Wether you are a small business looking for new customers or a nonprofit looking for donors or volunteers, this is the webinar for you! Using your Social Media Network as a leads funnel to your blog and website, can generate many leads. 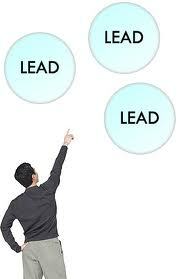 Once you have leads what is an easy way to tell a hot lead from a cold lead, what lead can generate sales not and who should be followed up on in the future? When does a lead become a prospect? All this and more will be answered by resident marketing expert, Thomas R. Reich.